Product prices and availability are accurate as of 2019-04-21 21:31:36 UTC and are subject to change. Any price and availability information displayed on http://www.amazon.com/ at the time of purchase will apply to the purchase of this product. Made from chrome plated metal, this divot tool easily and comfortably fits in the palm of your hand. 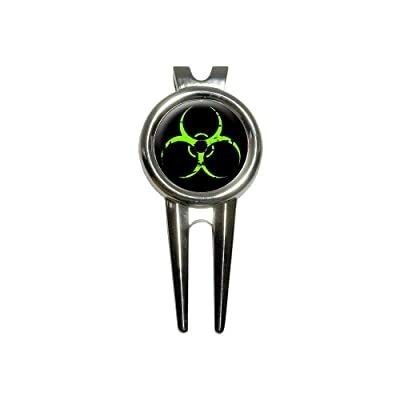 It includes the inlaid magnetic ball marker with the design as shown. The tool also has a clip on the backside to easily attach it to your golf bag.